Increase your customers and facilitate bookings with an “à la mode” health and beauty website! With peoples’ improved living standard, increased income, and capacity to spend more worldwide, Health and Beauty sector has been doing really well all around. The Asia Pacific mass beauty market alone is projected to reach the $14.9 Bn sales mark during 2016 and 2021, which advocates how promising the sector has become. Those operating within the industry need to have a strong web presence to claim their market share, before others swipe away theirs. WeblinkIndia.Net is committed to design marvelous websites for the health and beauty industry to outshine the competition like a pro. If you want to thrive and not just survive in the Health & Beauty industry, getting a website should be one of the first few steps in this direction. Backed by an industrial experience of more than 18 years, WeblinbkIndia.Net is that trusted destination where all your Health & Beauty Website Designing and Development needs can be met. Here, the work is carried out by a team of zealous professionals who put their best foot forward, each time for every project. Our team of professionals takes into account the type of health and beauty services you are presenting and design themes that complement your business type completely. In order to enhance the overall bookings and customer activity, we keep the navigation simple and place CTA’s at prominent places to make them highly visible when a visitor enters your website. 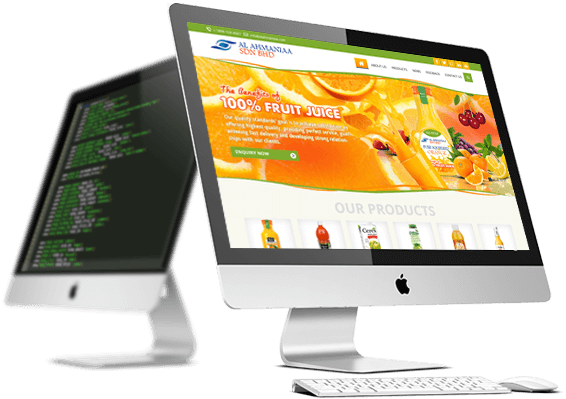 Your website appears as a perfect combination of striking appeal and amazing interactivity. The design layout and color schemes are used in a subtle and submissive manner giving the interface a soothing look. The health and beauty site developed by us owns an intuitive interface, which even a first-time visitor get accustomed with in no time. As more than 50% of the web visitors are coming from mobile devices, we come with a responsive website design that fits flawlessly into every screen size. Contact Physiotherapy was founded by Nilesh Solanki in 2009. Nilesh holds Honours Degree form the University of East London and has years of experience in NHS & Private Practice. As Head Physiotherapist at \'Contact Physiotherapy\', he is managing an expert team having specialization in Acupuncture Therapy, Manual Therapy, Personal Rehabilitation, Hydro Therapy, Electro Therapy, Pilates Therapy and Taping Therapy. 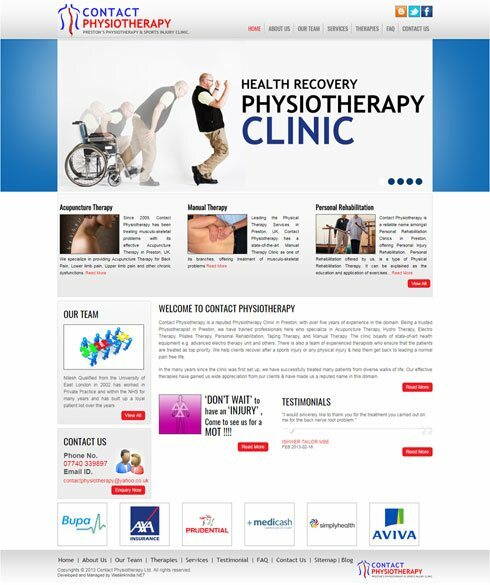 The Ecommerce Website Development of Contact Physiotherapy has been done by WeblinkIndia.Net – reckoned for Website Designing and Website Hosting. Choose WeblinkIndia For Health and Beauty Website Design – Here’s Why?